So, you've written a great bio for your Instagram account and you have only one option to insert a link. Which will it be? Your Facebook, website, your online store, or another link? Where do you want your audience to go to learn more about you? Your One & Only option... Or Is It? On which platform are you most active? Is this the same platform in which your audience is engaging with you? Instagram gives us only one options to include a link in our bio. This link should be the one that drives your following or your sales. Yet, we want to present a more rounded front, we want our audience to buy into "all of me". There are tools to help you accomplish this goal, here are just a few. This is my preference. 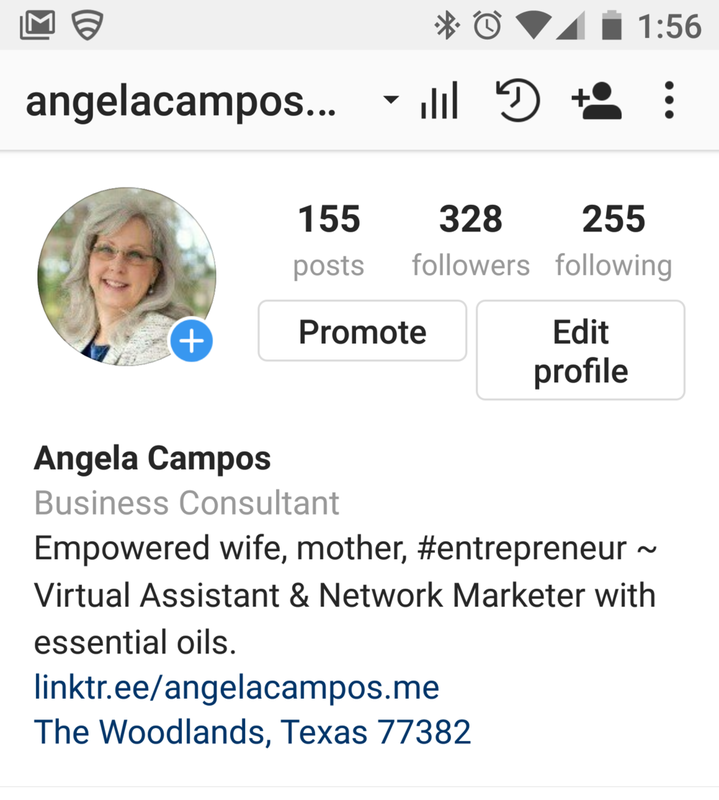 You must have an Instagram account to set up your Linktree links. There are free and paid versions. Personally, I use the free version because it accomplishes all that I want from it. I can arrange the links as I want them to appear, disable links without deleting them as I want, and I'm free to edit in the background without my audience knowing differently. This is what mine looks like. The paid version offers analytics and customization that will allow you to be consistent with branding for about $6 per month. A useful tool for those of you who produce a lot of blog posts that promote products, webinars, and other programs. Link In Profile will allow you to link to your website, etsy, or any other platform you choose. When clicking through the link on the user's profile, the images you see will be similar to the links posted on Facebook that you click through to read an article. Link In Profile is a paid service that comes with the bell and whistle of analytics for about $10 a month. This is what you would see when clicking on the link on Sarah Hood Jewelry's IG bio profile. Just tap the photo for each link posted to read more about it or to connect to her etsy site. This is a handy tool for those of you who handle social media for clients. The free version is available to a single user while the paid version ranges from $0.99 - $9.99 per month. The free version will not allow custom url's but the paid version will. Is this important to you? To most, it is for brand consistency. Lnk.Bio functions much the same as Linktree. Here is a beautiful, expanded bio through Lnk.Bio for this IG user, Anthony Verolme. In conclusion, there are options available for free or for a low monthly rate. Explore what works best for you. I'd love to hear about what you're using to get your message out there.